Seated (L-R): Pundi X CEO and co-founder, Zac Cheah, and co-founder of ebooc and Digital Force CEO Abdalla Al Shamsi. Standing (L-R): Michael Lawal Business Development Manager at Pundi X, Rudy Danandjaj CEO of Infinet Mobile & President-Commissioner of E2Pay, Pundi X President, Constantin Papadimitriou and MD Bchain and ebooc co-founder Sunil Malhotra. Pundi X will make its debut in the Gulf and Middle East following a partnership with the country’s first fintech company with a regional presence: eboocEbooc and Pundi X will provide several other applications for consumers such as making retail payments; paying for government services, fees and fines; utilities and bills; telecommunication bills and school fees on POS devices running a stable, digital equivalent of traditional fiat currencies in the region. The move brings our world-leading, blockchain-based POS technology, XPASS card and e-wallet to the Gulf, Middle East and North Africa region for the first time with ebooc as the official partner under the terms of a strategic partnership agreement as executed. 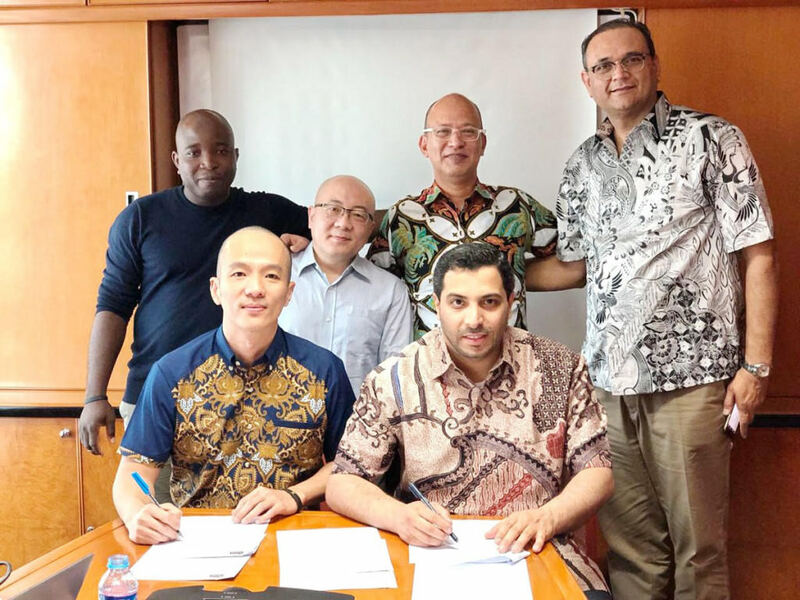 Following meetings in Dubai and Jakarta, a Memorandum of Understanding was signed between our CEO and co-founder, Zac, and the CEO of Digital Force and co-founder of ebooc Abdulla Al Shamsi, to commit to the deployment of a soon-to-be-announced number of Pundi X devices across the Middle East. Sunil Malhotra, the Managing Director Bchain and co-founder of ebooc said: “An ebooc — Pundi X partnership will deliver a differentiated customer experience through innovative features, seamless integration, loyalty solutions, enhanced security and greater convenience to Governments, businesses and consumers in Dubai, UAE and the region to make financial transactions on the NexGen platform in a smart way, bringing together various service providers under one platform. “There is no better way to announce Pundi X’s arrival in the Middle East and North Africa than with a partnership with ebooc in Dubai — the region’s technology hub”. ebooc, from the Arabic for ‘e-wallet’, is the first Emirati fintech company to establish a presence across the broader region. It aims to provide a secure and seamless payment experience to clients and customers which runs on NexGen technology as a decentralized, distributed ledger which creates trust, improving efficiency levels. Its solution for retail outlets can be channeled to the governmental organizations, creating a high level of trust and transparency.